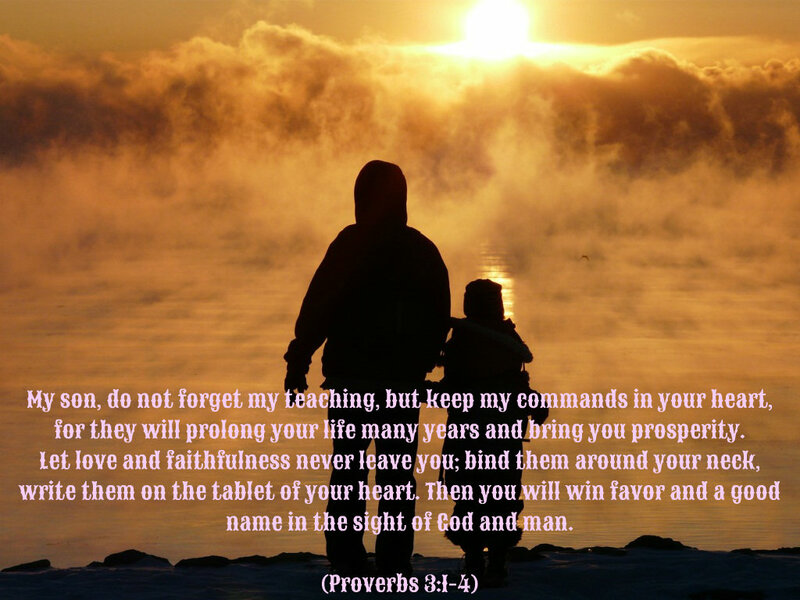 Imagine if you will a father who is loving and delighting in his children so much that when one of those children does wrong he has to rebuke them in love. Which of us has not endured, even if for a moment the hands of love from a father in how we have done wrong? So many people who don't seem to understand God is the same in the Old Covenant as He is in the New Covenant say there is a discrepancy within scripture as to who He is. I disagree. What did Jesus say to those who withstood Him in their pride and arrogance, claiming they were without sin or fault? "O Jerusalem, Jerusalem, who kills the prophets and stones those sent to her! How often I have longed to gather your children together as a hen gathers her chicks under her wings, but you were unwilling. Look, your house is left to you desolate. And I tell you, you will not see Me again until you say, 'Blessed is He who comes in the name of the Lord" (Luke 13:34-35, Berean Study). Are these not almost exactly the same words the Father gives us in the words of His prophets and law? "No one will be able to stand against you; the LORD your God will put fear and dread of you in all the land where you set foot, as He has promised you. Look, today I set before you a blessing and a curse: there will be a blessing, if you obey the commands of the LORD your God I am giving you today, and a curse, if you do not obey the commands of the LORD your God and you turn aside from the path I command you today by following other gods you have not known" (Deuteronomy 11:25-28, Holman Christian Standard). But these words aren't just to the people of Israel. We're told in Hebrews 12:5-6, "And you have forgotten the exhortation that addresses you as sons: "My son, do not make light of the Lord's discipline, or lose heart when He rebukes you. For the Lord disciplines the one He loves, and He chastises everyone He receives as a son." Even those within the Church, of which Christ Jesus in the Head of, belong to Him. So, we share in the same promises and curses God gave so long ago to His children Israel. Paul tells us, "If the first piece of dough is holy, the lump is also; and if the root is holy, the branches are too. But if some of the branches were broken off, and you, being a wild olive, were grafted in among them and became partaker with them of the rich root of the olive tree, do not be arrogant toward the branches; but if you are arrogant, remember that it is not you who supports the root, but the root supports you. You will say then, "Branches were broken off so that I might be grafted in." Quite right, they were broken off for their unbelief, but you stand by your faith. Do not be conceited, but fear; for if God did not spare the natural branches, He will not spare you, either. Behold then the kindness and severity of God; to those who fell, severity, but to you, God's kindness, if you continue in His kindness; otherwise you also will be cut off. And they also, if they do not continue in their unbelief, will be grafted in, for God is able to graft them in again" (Romans 11:16-23, New American Standard). So, then we see this: that God is able to do all He says He will do to who He is and the nature of His person. He is just and right and forever true. Will He lie to uphold His ways or is He altogether a man just like us, fallible in all our ways? Neither. He is not a fallible made creature as we are, and neither is He a liar as Satan is, who seeks to destroy those whom He hates. "Be sober-minded and alert. Your adversary the devil prowls around like a roaring lion, seeking someone to devour" (1 Peter 5:8, Berean Study). And that's the thing of it; we can choose to own up to the sins we commit or we can point our finger at the enemy of the saints saying, "He provoked me," when we conceive of evil in our own hearts. What does the word say? "But the things that proceed out of the mouth come from the heart, and those defile the man. For out of the heart come evil thoughts, murders, adulteries, fornications, thefts, false witness, slanders. These are the things which defile the man" (Matthew 15:-18-20a, New American Standard). nor will I have pity; but I will repay your ways, and your abominations will be in your midst; then you shall know that I am the Lord" (Ezekiel 7:4, New King James). He repays us for the way we are. And those ways proceed from our heart. So, it is in this way that God keeps His word. He does what He does out of love toward us. If we simply chose Him and His ways then He would relent in His anger toward us. But by keeping on in our sinful behavior and manner we are saying we much rather His strong hand and judgment upon us. Let me liken this to a judge who reads off the charges of the one who has broken the rule of the law. Aren't we not all the same as the law-breaker? God is the just judge who has a list of charges of laws we have thus broken: we have not kept Him and His word, we dishonor our parents, we lie, we cheat, we steal, and we murder (even hate is murder in His eyes). Breaking any law is the same as breaking any other. Any and all laws broken deserve the same punishment, the same fate: death. But in this is the good news; the gospel of Christ. While we were in our sins, God died in our place, reconciling us to Himself through Jesus Christ. For it is by Christ's shed blood we have access with and to the Father, God. "his corpse shall not hang all night on the tree, but you shall surely bury him on the same day (for he who is hanged is accursed of God), so that you do not defile your land which the Lord your God gives you as an inheritance" (Deuteronomy 21:23, New American Standard). And we know, not only by His holy word that Christ fulfilled all the commands of the Father. But I have also written countless articles proving how Jesus the Messiah fulfilled the letter of the law as well as the prophets. If we then accept His wrath which has been poured out on the Son so we have access to and with Him, then we are saying to Him, "I am done with my former ways! I am a wretch!" He is pleased with us in our humility, our poorness of spirit. But we must be fully done with how we once were. It means we have had such a heart change that our heart and soul cries out to Him, "Have mercy on me a sinner!" (see Luke 18:13). In this way God judges us. He handles each of us according to our faith. We are either covered by His Son's, Jesus Christ's, shed blood or we have no covering before Him. It is up to us in how we come to the Father. I choose humility and saying to Him, "I need You and Your love, Lord!" I need Jesus every day. And my desire is to see you as well to put off all abominations in His sight so He can restore you back to where you belong. I pray this in Jesus' name. Amen.